The 250,000 Lobi are divided among Ghana, Ivory Coast & Burkina Faso. 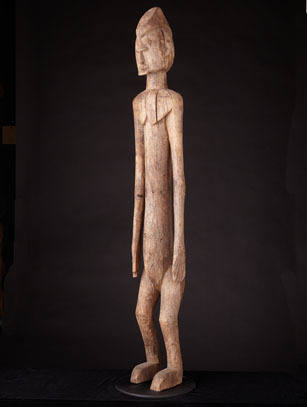 Each household leader or Cuor is subordinate to a thila, an invisible protective spirit who communicates through the intermediary of diviners. It is the thila who dictates taboos & who requires the creation of a new wooden figure for the village or household shrine. 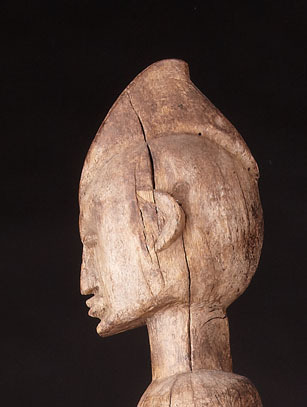 Lobi sculpture was only discovered in the 1950's. 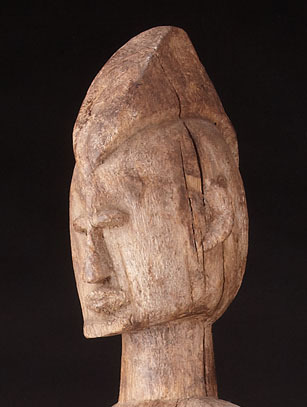 The Lobi do not use masks but create figures called bateba & heads sculpted on top of a post planted in the ground. 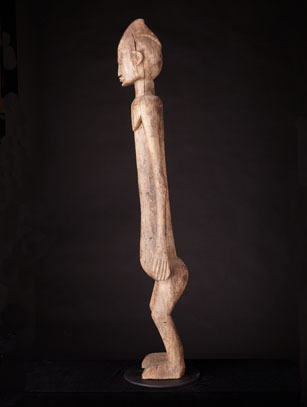 These figures, are beings that are somewhere between spirits & people & may represent the dead or bush spirits. Heads surround the shrines of sacred huts & the bateba belongs to the thila & carries out their orders to defend the territory against evil & to protect their owners from harm.